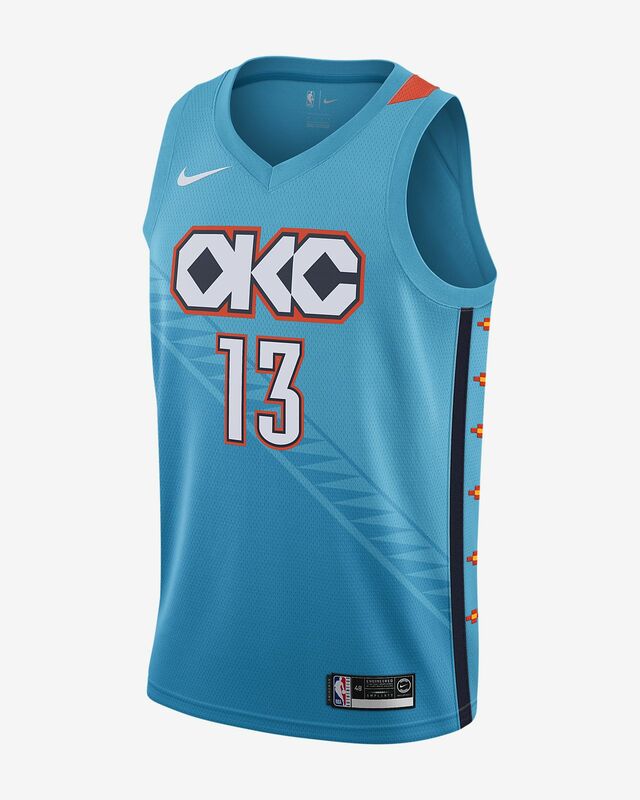 The customs and traditions of Oklahoma's Native American tribes inspire the Oklahoma City Thunder City Edition Swingman Nike NBA Connected Jersey. The colourful, symbol-rich design honours the power of sport to unite a team and a community in the spirit of competition. FABRIC OF THE CITY: THE POWER OF UNITY CELEBRATED IN A JERSEY RICH IN TRIBAL SYMBOLISM. 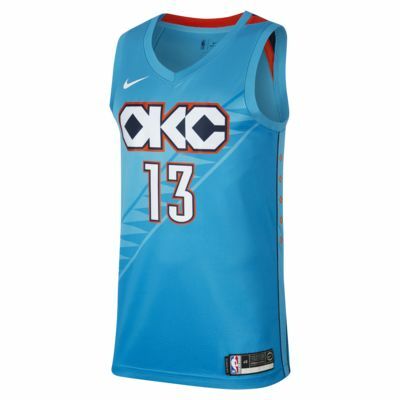 The customs and traditions of Oklahoma&apos;s Native American tribes inspire the Oklahoma City Thunder City Edition Swingman Nike NBA Connected Jersey. The colourful, symbol-rich design honours the power of sport to unite a team and a community in the spirit of competition. Have your say. Be the first to review the Paul George City Edition Swingman (Oklahoma City Thunder).